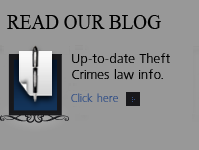 One of the most significant provisions in Colorado’s Theft law is a brief but important provision that empowers prosecutors to “aggregate” or “consolidate” separate smaller misdemeanor thefts into one – much more serious crime – Felony Theft. (4) (a) When a person commits theft twice or more within a period of six months, two or more of the thefts may be aggregated and charged in a single count, in which event the thefts so aggregated and charged shall constitute a single offense, the penalty for which shall be based on the aggregate value of the things involved, pursuant to subsection (2) of this section. Section 4(b) dismisses the need to consolidate the crimes within a specific time period if the thefts targeted ONE PERSON. Under these circumstances – the thefts only need to be consolidated within the statute of limitations.. The authority provided to the State – vis a vis the District Attorney – is clear – several smaller cases when combined into one felony case permits a sentence to be sought in the felony ranges above.. If your Colorado Felony Theft Case has been consolidated under these circumstances – please feel free to contact our law firm to discuss what that means to your defense. ABOUT THE AUTHOR: H. Michael Steinberg – Email The Author hmsteinberg@hotmail.com or call his office at 303-627-7777 during business hours – or call his cell if you cannot wait and need his immediate assistance – 720-227-7777. If you are charged with A Colorado crime or you have questions about Aggregating Two Or More Misdemeanor Colorado Theft Charges Into Felony Theft – 18-4-401 (4) (a)], please call our office. The Law Offices of H. Michael Steinberg, in Denver, Colorado, provide criminal defense clients with effective, efficient, intelligent and strong legal advocacy. We can educate you and help you navigate the stressful and complex legal process related to your criminal defense issue. H. Michael Steinberg, is a Denver, Colorado criminal defense lawyer with over 30 years of day to day courtroom experience – specializing in Colorado Criminal Law along the Front Range. 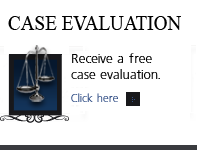 He will provide you with a free initial case consultation to evaluate your legal issues and to answer your questions with an honest assessment of your options. Remember, it costs NOTHING to discuss your case. 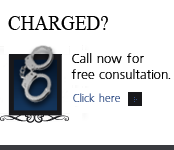 So call now for an immediate free phone consultation. Colorado Theft Of Automobile License Plates – Section 42-5-104(4) C.R.S.